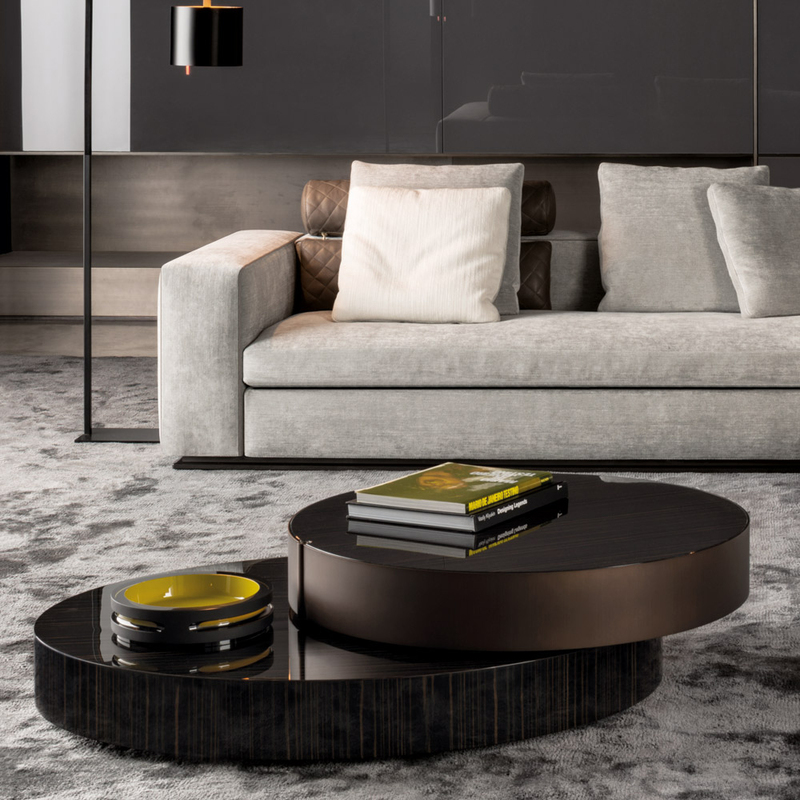 An overlapping of shapes and skillful combination of luxury materials – these are Benson’s distinctive traits. 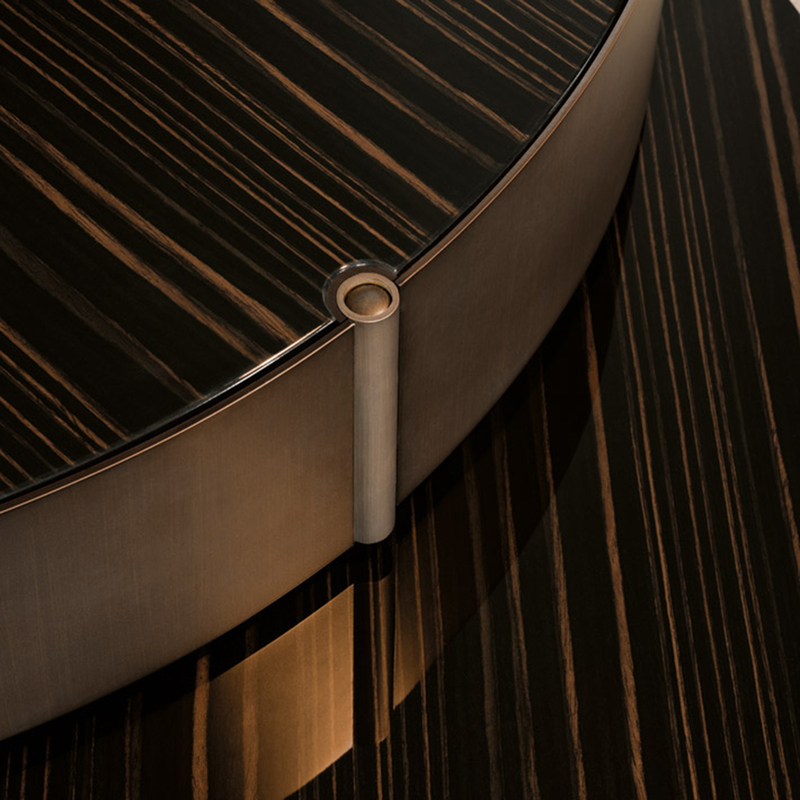 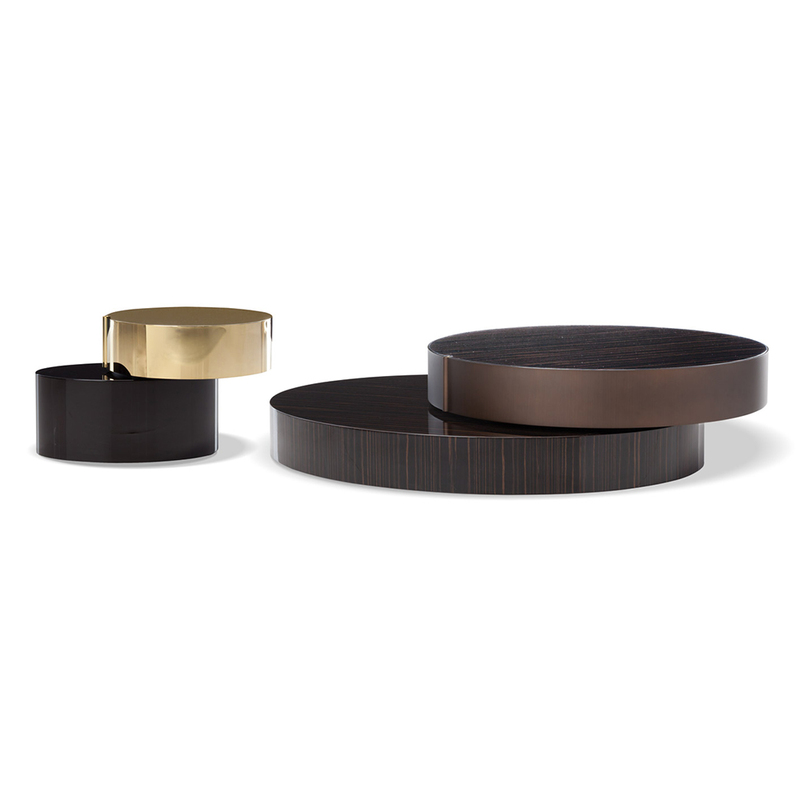 Its sculpted form is enhanced by the substance of wood and the shine of metal. 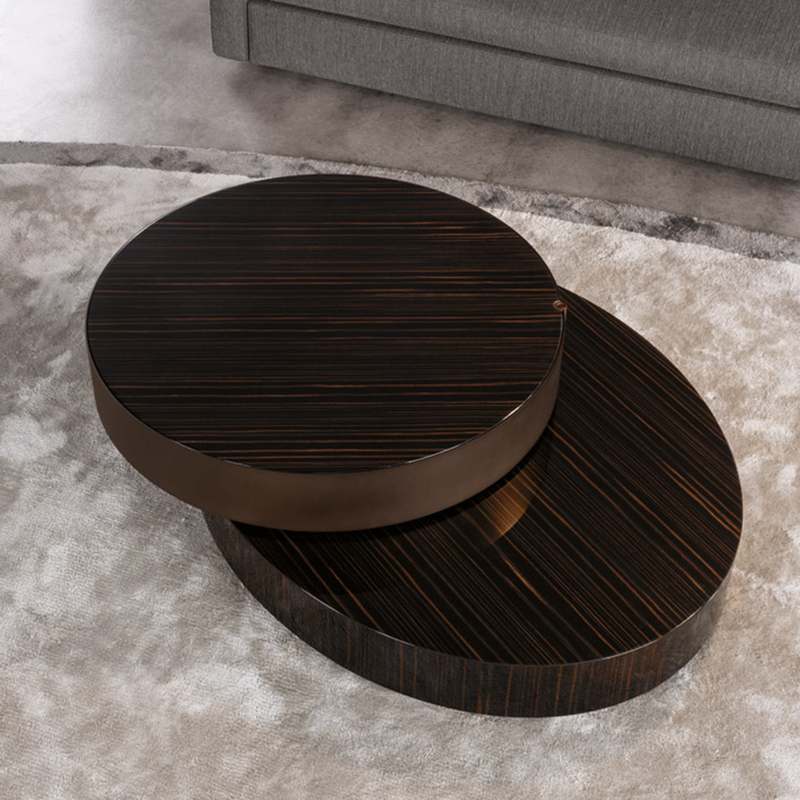 The Benson occasional table sits right on the floor and comes in two different sizes that complement its intended use. 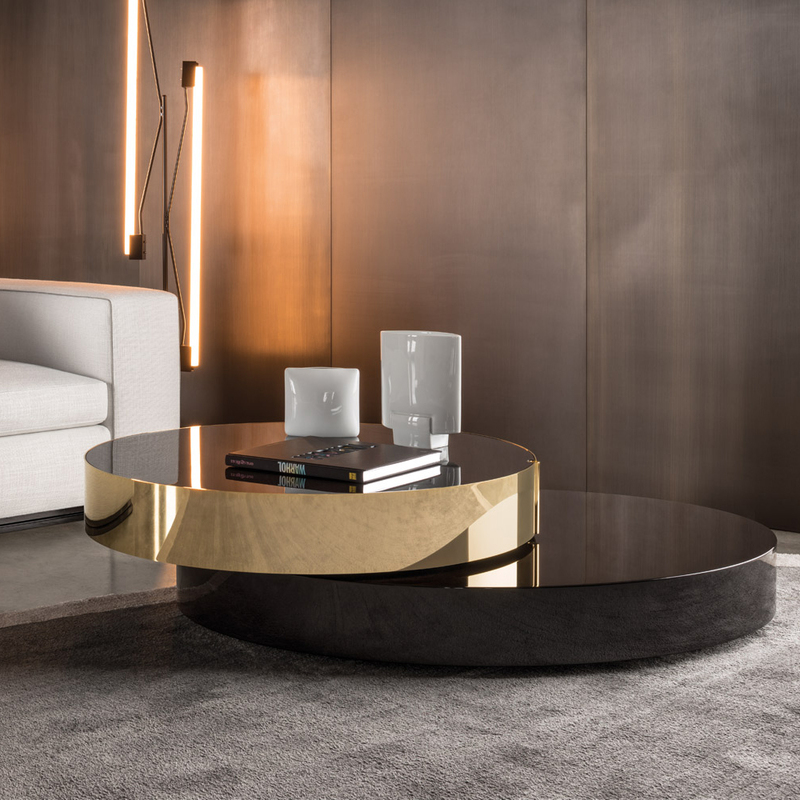 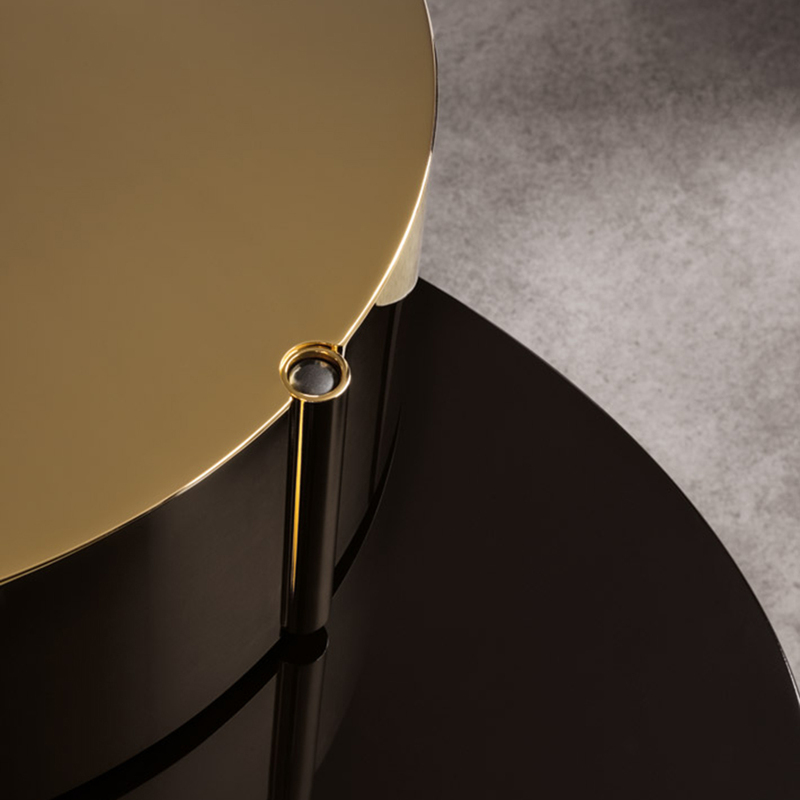 The coffee table is composed of an elliptical base and a raised circular top equipped with a mechanism that allows it to turn 360 degrees and makes the table top extendable towards the sofa.